In the glamorous town of Chapel Hill in North Carolina, there is an exquisite gated community known as the Governors Club. This is a golf course neighborhood which offers sensational mountain views and a vibrant area to live in. Whether you are looking for a temporary home or a place that you can call your permanent residence, this particular neighborhood just might be the answer. The gated community, which is locally called GC, is conveniently located near pharmaceutical companies along with major medical, computer, and educational institutions. 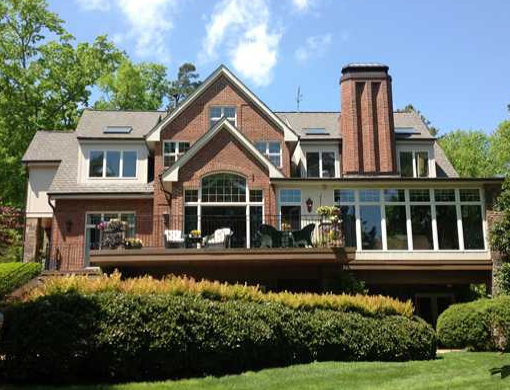 This place in Chapel Hill is ideal for people who are considering North Carolina for their new home and those who are looking for a place to stay as they continue their profession. The Governors Club is a one of a kind gated golf community in Chapel Hill where you can find more than 1,200 sites for homes. It consists of 1,600 acres of land, which is mostly covered by tall trees and lush gardens. The streets are guaranteed to be beautifully landscaped and are lined with homes that are mostly custom-built. If you choose to live in this part of Chapel Hill, you will surely get the most out of what the community has to offer. It is a great spot for singles, for married couples, for families, and for entrepreneurs and businessmen. All in all, it is a wonderful place for everyone to stay in. The GC Community boasts the Governors Club, Inc., which is a private golf club that encompasses 27 holes. The golf course is so expansive that there is enough room for your whole family and friends to play. This specific golf course is quite special as it is designed by one of the living legends in golf, Jack Nicklaus. The residents here as well as the visitors are impressed with the premiere golf course. Therefore, if you are looking for a place to spend your lazy afternoon at, you do not have to look any further. GC is quite unique in many ways. Aside from the private golf club, it also consists of a wide variety of amenities that will certainly make your stay comfortable and pleasant. There are wellness facilities in the nearby Research Triangle Park, which is simply known as the Triangle. This can easily and quickly be accessed through the neighborhood. Apart from that, there are swimming centers, tennis courts, and the very popular Clubhouse, which extends to 42,000 square feet. New and existing members of the community do not have to worry about recreational activities. There are plenty of things to do here. Whether you are looking for a way to socialize with other people or you wish to become an active part of the neighborhood, there are groups and associations where you will surely fit in. The Governors Club offers 360-degree views of spectacular countryside scenery. It is ideal for both retired adults and working business leaders. With its attractive homes and convenient location, this could potentially become your new personal oasis.